BEST Red X® has been invented for brewing red-tinted beers. You can use BEST Red X® for up to 100% of your grain bill – no other malt is required. Offering exceptional reliability and optimal process ability, BEST Red X®can be employed to brew consistently fiery beers with intense reddish hues. Its full-bodied flavour and attractive, unique colour coupled with easy handling in the brewery, make BEST Red X® the best choice for creating a broad range of new beers, such as red-tinted wheat beers. This malt is also being used to make highly hopped IPA style beers such as Stone’s Pataskala Red X IPA. Quite a lot of online literature relating to this malt suggests it is difficult to convert. I found a single infusion mash of 100% Red-X at 64C converted it perfectly. 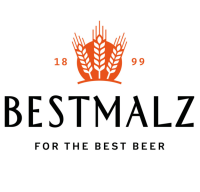 Haven’t finished experimenting with this one yet, Bestmatlz’ recommendation that it be used at 100% of grain bill leaves it a bit limited, hence the 4 stars at this point.